Receive help from highly trained physicians who truly care about you! Get the Right Diagnosis & Care. 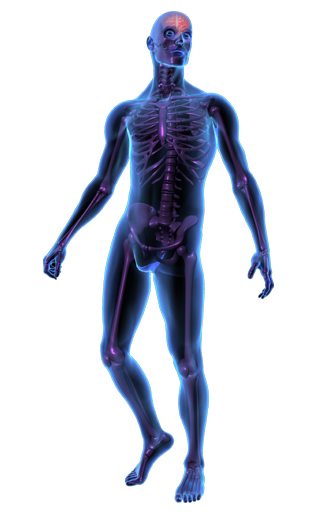 There are many reasons for spine, joint and limb pain. Relief begins with a good diagnosis. 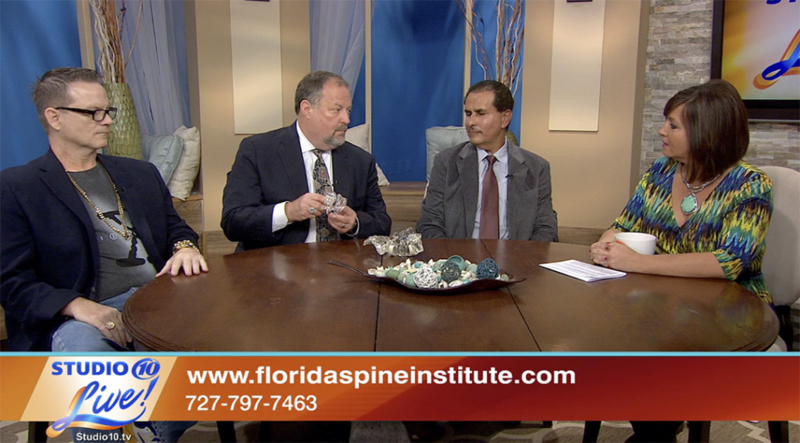 Florida Spine Institute is a FDA approved research facility. 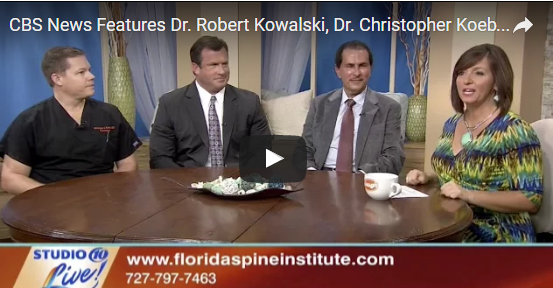 Trust the Florida Spine Institute to help you enjoy life again! Rest assured, you’ve come to the right place. 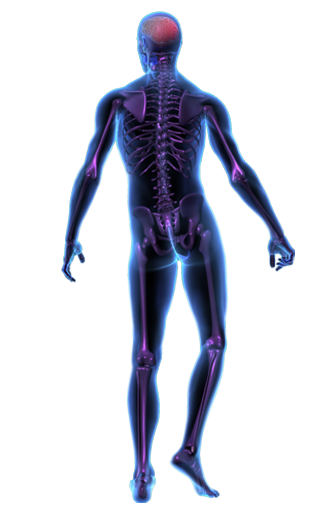 Florida Spine Institute is one of the leading and most trusted medical facilities in the Tampa Bay area that specializes in treating the causes of spine and joint pain. We are passionate about helping you become whole again. Whether you require a minimally invasive procedure or the most complex spinal surgery, your best solution will be determined by a good diagnosis. We help thousands of patients every year from your local community and all over the world. With three convenient locations serving Clearwater, St. Petersburg and Tampa, our team of highly qualified and experienced physicians is dedicated to excellence with compassion. We are board certified, diagnostic, medical, and surgical spine specialists providing the most advanced care available today. But perhaps what sets us apart from everyone else is that we won’t rush you in and out; we take the time to fully understand your pain and its causes. And, for your added comfort and convenience, all of your consultations and most treatments are done on a single campus! Don’t let another day go by without relief from your pain. To learn more about a possible condition and treatment, click on a body area in the illustration on the right where you suffer the most pain. We are here to help. We urge you to make an appointment for a one-on-one visit with one of our doctors for the most accurate diagnosis — your most important step towards an effective treatment plan. Neck pain is discomfort between the jaw and shoulders. It may be described as a stiffness, ache, soreness or pain that is sharp, dull, or radiating. With so many different joints, muscles, tendons and bones, shoulder pain can be temporary or chronic. A common problem in every age group, many conditions cause hand pain, and there are plenty of successful treatment options. Caused by problems within the joint or by surrounding structures. 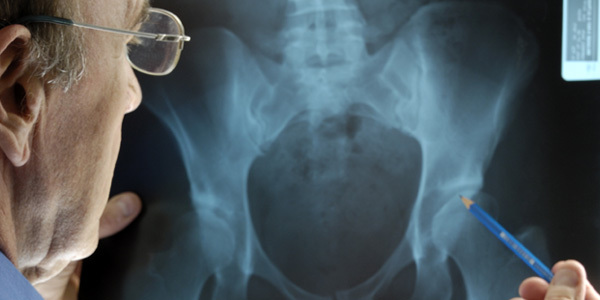 The most common conditions that cause hip pain are osteoarthritis or a herniated disc. Back-related leg pain can be extremely frustrating, because many people suffering from leg pain do not realize that their pain might be caused by a spinal condition. If you suffer from frequent, painful headaches which don’t seem to be alleviated by the typical medications, you may be experiencing cervicogenic headaches. Felt anywhere from the bottom of the ribs to the base of the neck. A pinched nerve in the thoracic spine can cause pain in the stomach, chest, legs and arms. Problems that originate in the cervical spine may result in pain and other symptoms in the neck and/or extend into the shoulders, arms and hands. Almost everyone has low back pain at some point in their lives; it is possible to hurt your back when you reach, lift or twist, or your symptoms may be due to the effects of aging. Symptoms include pain, stiffness and swelling. Some pain is made worse by a specific movement, or standing up after sitting for a long time. Our caring, board-certified physicians and surgeons have helped more than 150,000 people suffering from conditions that cause debilitating pain. With our help, you’ll be able to stretch out and relax before you know it, as you discover newfound relief. Get on your road to recovery today! Call us for an appointment and meet our staff in our relaxed and peaceful office setting. You don’t have to put your life on hold while you cope with debilitating pain from an injury or degenerative disease. There are many possible causes for the symptoms you are experiencing. Take the first step to get a good diagnosis, and we’ll start treating the source of your symptoms right away. If you are coping with symptoms or conditions like these, we can help. Our physicians spend as much time as needed to help you. Your recovery begins with a good diagnosis to determine the cause of your pain. Conservative, minimally invasive non-surgical treatments are considered first, so that are most likely to quickly restore your enjoyment of life. Get the comfort and convenience of our professional team, with multiple diagnostic and treatment options all in one location.